We have a tiny little eating space I like to refer to as the dining room even though some houses have breakfast nooks that are larger. In a house with over sized rooms and vaulted ceilings, this little cantilevered room with a partial 8' ceiling is a bit odd, but we are making improvements! 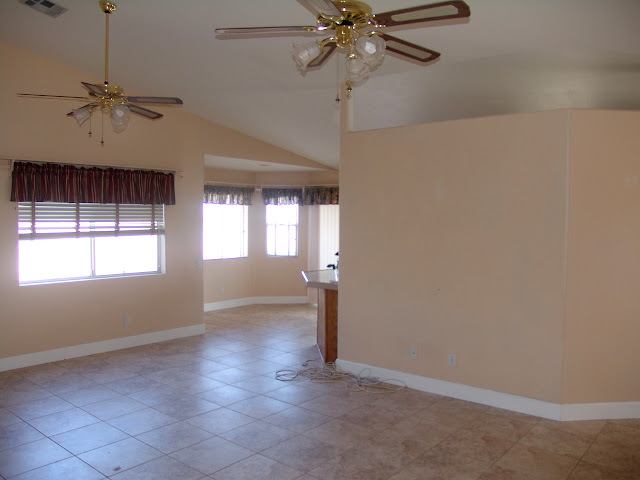 (The ceiling fans are in the living room, the little pop out is the dining area). Gone are the peach colored walls, red and green floral valances, peach faux wood blinds, and recessed can light. Who puts a can light over a dining table? 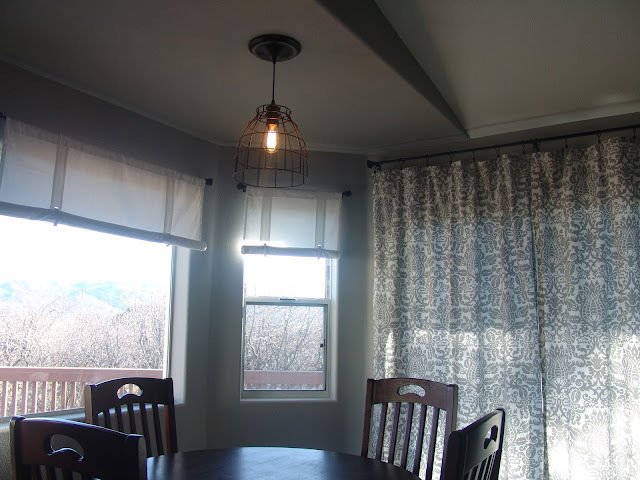 Light gray walls by Behr (Classic Silver), crisp white roll-up blinds from Ikea, gray & white drapery panels made from Amsterdam Twill Storm fabric, and a Dovecote Pendant (can conversion kit post) are helping to transform this room. The dining table needs to be refinished, a few accessories need to be added, and I'm dreaming of these beauties from Ikea to finish the room someday. Have you seen this kitchen? It is simply beautiful. 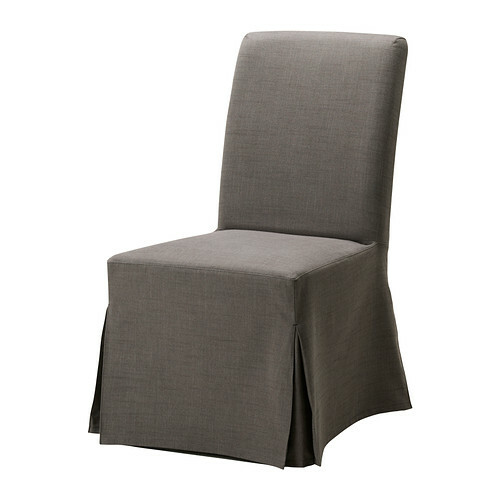 I would love white slipcovered arm chairs (also from Ikea), but with a messy three year old, I think the gray is a safer bet.